Illumination Entertainment and Universal Pictures are teaming up again to develop a big screen animated/live-action adaptation of Clifford The Big Red Dog. This is the same animation studio that recently brought us Dr. Seuss’ The Lorax. 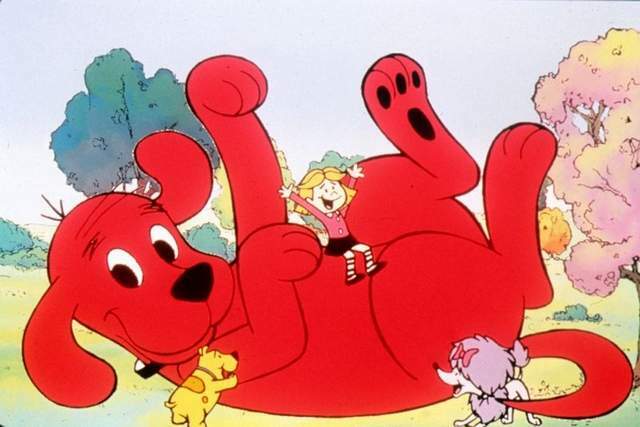 Clifford was created as a children's book series by Norman Bridwell in 1963. I grew up reading these books, but the Big Red Dog is more popular now than ever among kids. I know my own kids enjoy reading the books and watching the animated series on PBS. The basic story "follows the adventures of a 25-foot-tall red dog and his owner, a child named Emily Elizabeth. The girl picked up the dog when he was a puppy and the runt of the litter, but her love for him made him grow super huge, so much so that the family had to move out of the big city to a New England-esque island town." There's no director attached to the project yet, but the script will be written by Matt Lopez (The Sorcerer's Apprentice). I'm not sure when the studio plans on releasing the film, but next year is Clifford’s 50th anniversary. Knowing the work that Illumination has previously done, and knowing the stories and characters it's easy to imagine how this movie will turn out. What are your thoughts on Illumination adapting this children's book?